The Hausmann Industries Magneciser™ Adjustable Magnetic Shoulder Wheel is a durable, mechanical medical training device that is a perfect physical therapy tool for patients who perform resistance exercises to slowly improve movement and relieve pain. Ultra-Quiet and Adjustable. With its silent magnetic and two-directional resistance, the Magneciser™ Adjustable Magnetic Shoulder Wheel has a calibrated resistance mechanism which allows steady recovery. The Magnetic Shoulder Wheel's height is adjustable which allows a patient to comfortably sit, stand or access on a wheelchair. 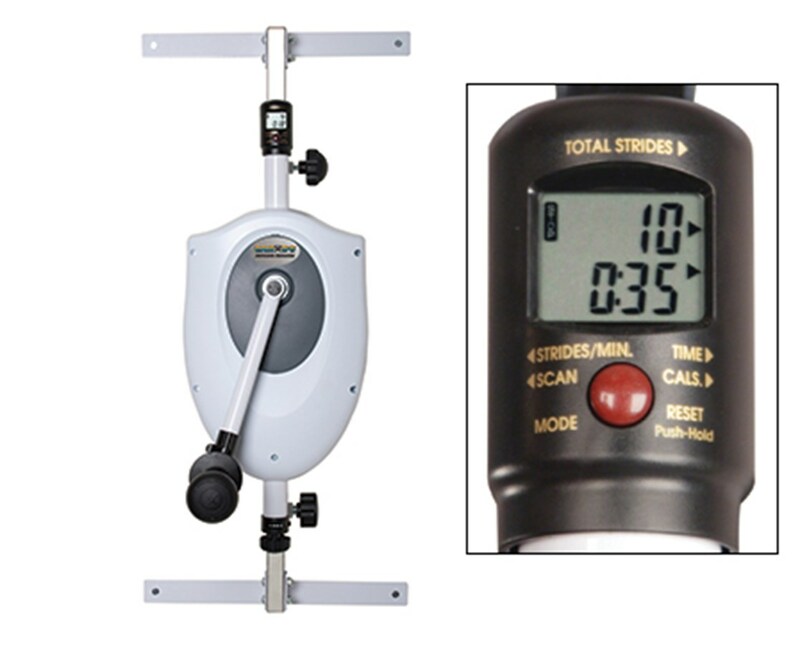 Its arm can be extended from 13" to 22" for shoulder wheel arc adjustments. Fully-Automatic Digital Display. 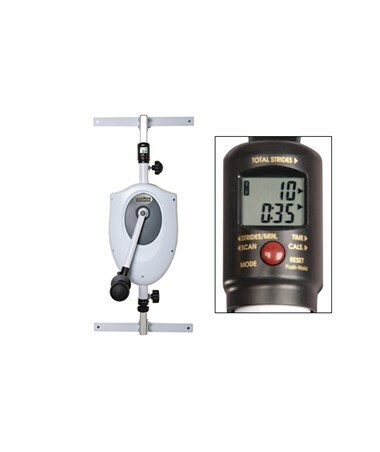 Because of its 25" W x 13" D x 39" H size, the Magneciser™ Adjustable Magnetic Shoulder Wheel boasts an automatic five-function digital LCD display that shows speed, elapsed time, calories, distance and scan for all functions. Plus, it is powered by two AA batteries that are included in the package. The Hausmann Industries Magneciser™ Adjustable Magnetic Shoulder Wheel comes with 2 AA Batteries and a 3-Year Warranty.